WHAT IS AMRITA BALA KENDRA? Amrita Bala Kendra (meaning 'Amrita Children's Centre') is a spiritual and cultural program for children ages 4-14 years old. The classes focus on values education, traditions, and spiritual practices. 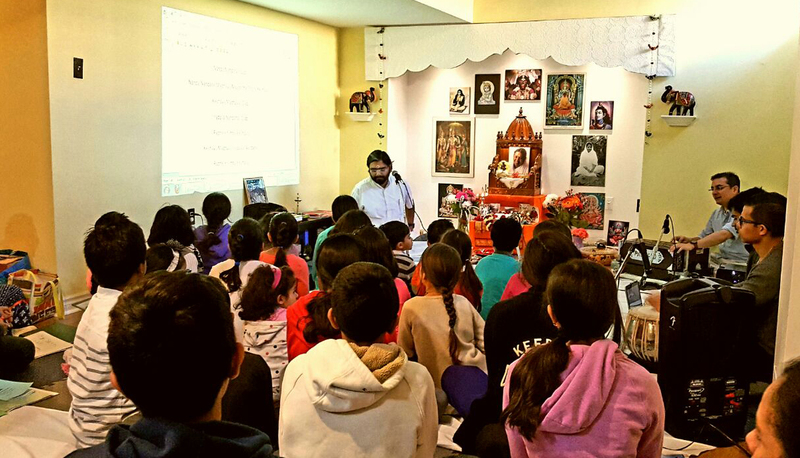 Through stories, games, music, field trips, arts & crafts, celebration of festivals, environmental activities and service projects, the Bala Kendra offers children an understanding of spiritual principles and how to incorporate them into their daily lives. Classes are held in Burlington every Sunday from 5:00 - 6:30 pm. A class includes: chanting of mantras, storytelling, yoga, devotional singing and talks on social values. Snacks are served at the end of each class. Fun Days: Outings are planned for the children and their families, including family yoga days at the park (pictured above), and bonfires. 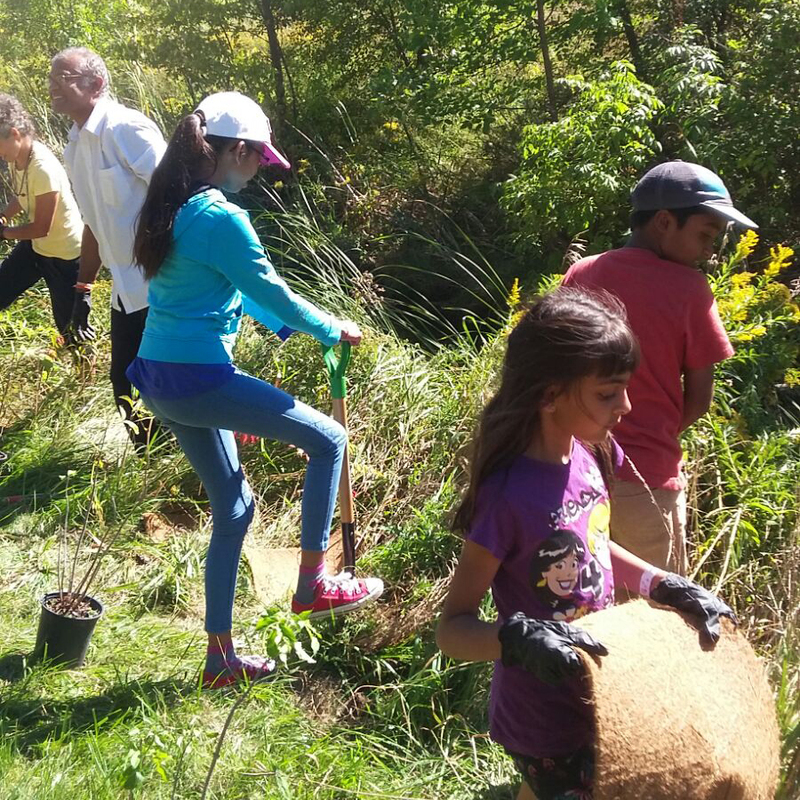 Tree Planting: In the fall, Bala Kendra kids joined Toronto Satsang members in tree planting events across the Greater Toronto Area. After lots of hard work preparing the soil, the children felt great satisfaction when they firmly planted their tree in the earth with their own hands. This activity taught kids to honour nature, while also helping the environment. Making Cards for Nursing Home Residents: During Christmas season, Bala Kendra kids made cards for elderly nursing home residents who had no family contact over the holidays. This small gesture of love and compassion brought great delight and warmth to the hearts of the seniors. Making Sandwiches for Homeless People: For a recent service project, Bala Kendra kids made sandwiches and donated them to the local homeless shelter. This taught the children that, even though they are still young, they too can do something to relieve the hunger and suffering of others. Performances at Charity Fundraising Events: Every year, Bala Kendra children and their parents have done dance and theatre performances at fundraising events in support of charities that are active in the local community. The Amrita Bala Kendra performances, involving up to 40 kids, bring great energy, enthusiasm and talent to these charity events, and are much enjoyed by the performers as well as the audience.